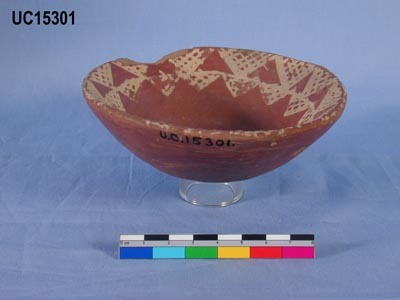 The method used by Petrie for dating the Naqada Period pottery was first described in Petrie 1901: 4-8 and later again in Petrie 1920: 3-4. For a detailed description see there. See a table of pottery arranged according to the Sequence Dates. 2. 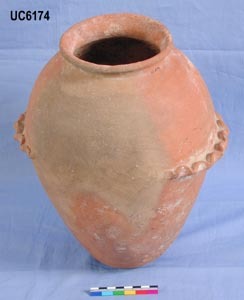 Petrie took the wavy-handled pottery as guide line. He recognised gradual change from globular to narrow cylindrical types. The globular are the older while the cylindrical are the later types which he found in the royal tombs of the First Dynasty in Abydos. 4. Petrie produced for every tomb a thin card slip with the main types of finds, especially pottery, recorded from that tomb. These slips could be quickly sorted by hand. 5. All 900 tombs were then placed in their most probable order following the suggestions already made about the wavy-handled and the cross-lined ware and then divided in 51 equal sections. 6. The sections were numbered 30 to 80 and called Sequence Dates (S.D.). S.D. 79 is the beginning of the First Dynasty. The numbers before S.D. 30 were left for any future discoveries of earlier material.